Public holidays in Germany are particular days when employers are obliged to give their employees the day off to commemorate a certain religious or secular event. Businesses, banks and shops remain closed on these days, though restaurants are allowed to be open. Which days are designated holidays in Germany is determined by state law, so shops might be closed in one state while they remain open in another. I have decided to split this article into two parts: Part 1 will deal only with the more important holidays in Germany, celebrated nation-wide in all states. Part 2 will talk about the remaining German holidays, which some states celebrate and some don’t. 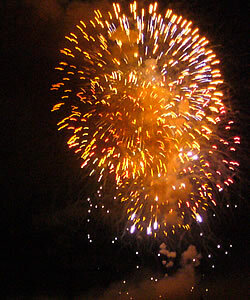 New Year’s Day (Neujahrstag) is on January 1st and celebrates the beginning of the new year with fireworks. On New Year’s Eve (Silvester in German), December 31st, people either meet with friends to celebrate the occasion or go to one of the many parties. The biggest public party takes place in Berlin. Easter (Ostern) commemorates the crucifixion, death and resurrection of Jesus Christ. There are two holidays in Germany commemorating the event: The first is Good Friday (Karfreitag), the day of the crucifixion, and the second is Easter Monday (Ostermontag), the day after the resurrection. Easter Sunday itself is not listed as such, because it is on a Sunday and businesses remain closed anyways. Somewhat unique for Easter in Germany are the Easter fires. Labor Day (Tag der Arbeit) is always on May 1st and an extension of the efforts of the Labor Movement into a public holiday. Unions, Labor Parties and associated organizations use the day to reinforce demands for fair working conditions and just payment and remember the previous struggles of the working class. Ascension Day (Christi Himmelfahrt) is 39 days after Easter Sunday and commemorates the Ascension of Jesus into heaven. Ascension Day in Germany is also Father’s Day. Whit Monday (Pfingstmontag) is 50 days after Easter. It is the day after Pentecost when the Holy Spirit descended from heaven to the Twelve Apostles and disciples of Jesus after his resurrection. Like Easter Sunday, Pentecost itself is always on a Sunday as well, so it is automatically a public holiday. 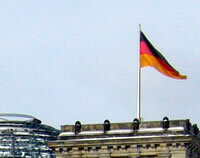 German Unity Day (Tag der Deutschen Einheit) is the only of the holidays in Germany defined by federal law. It takes place on October 3rd each year and is the anniversary of German Reunification in 1990. It is the day when East and West Germany were formally reunited and brought the Cold War to an end. Christmas Day (Weihnachtstag), December 25th, is the day after Christ’s birth and one of the most important holidays in Germany. Families usually visit church on Christmas Eve and then return home to have a nice dinner, while children find their presents under the Christmas tree. The day after Christmas Day (Zweiter Weihnachtsfeiertag), also called St Stephen’s Day, is also a public holiday. So, there you have the holidays in Germany celebrated in all states. Part 2 of this article talks about the remaining German holidays here. Thanks for reading. German Halloween – is there such a thing?